We only supply premium quality products that we have tested ourselves to be sure of their taste and consistency. 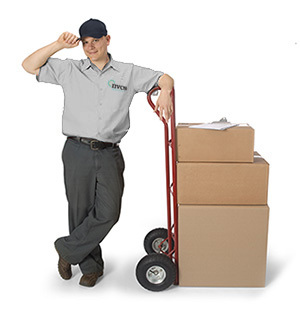 We deliver these wholesale products using our own vans in the local Norfolk, Suffolk and Cambridgeshire. However our fully managed customers can enjoy tasty beverages from these ingredients without having to worry about the day to day maintenance and stocking of equipment. However efficient and reliable our vending machines, what really matters to the end user is the quality of the products they deliver. Whether it’s a simple cup of tea, coffee, snack or freshly made sandwich, a product is only as good as its ingredients. That’s why we always make sure to offer our customers the very best names. 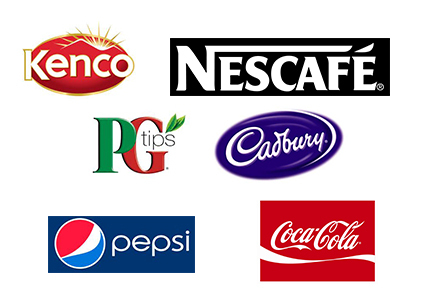 Names like Kenco, Nescafe, PG Tips, Twinings, Cadburys, Walkers, McCoys, Coke and Pepsi; top brands that always deliver top tastes. We also recognize the value in up-and-coming brands and support them where possible by allowing our customers to offer something different and new. In-cup drinks offer a simple, clean and hygienic solution for offering hot beverages. 73mm plastic cups pre-dosed with ingredients and packed into sleeves of 25 cups. Just add water for a tasty beverage. Suitable for use with in-cup vending machines such as the Refresh 700, Refresh 1400 and Style 5. Simply stack a new sleeve of drinks into the machine and its ready to use. No opening of pillow packs and filling of ingredient canisters. We now supply Kenco Millicano Whole bean Instant coffee – smooth, full bodied taste associated with a roast and ground coffee, but with the convenience and efficiency of an instant beverage. Made with 15% finely milled roasted coffee beans and 85% premium freeze dried coffee. Drinks machines branded with Kenco Millicano Wholebean Instant coffee are available for added visibility. 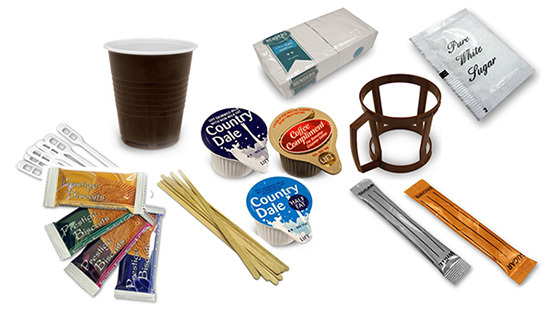 Additional items for the office breakroom include tins of instant coffee, sugar sticks, sachets, creamer pots, stirrers, paper and plastic cups, cup holders and tea bags. 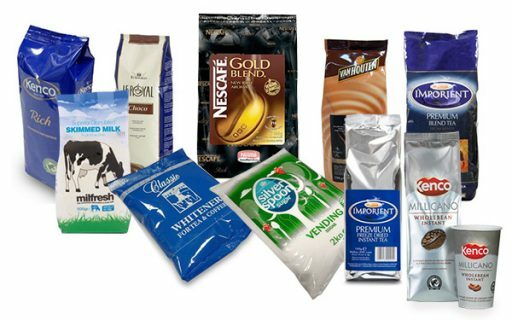 As well as coffee products we can deliver additional items such as sugar sachets, creamer pots, stirrers, cups and ancillary items.